Hello. 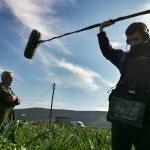 I am wanting to learn about any location-based Production Sound equipment rental houses that are available in the UK or Europe in general. I am only familiar with Pinknoise in the UK. i worked myself at : The Herrieboerderij, and there is The Noise boys and Audio Mathijsen. Everything Audio in London have pretty much .... everything!!! in France, go to Tapages & Nocturnes! Professional sound rental company for 35 years ! Germany : Ambient Recording in Munich or Kortwich in Berlin.